Side Hinged doors offer a fantastic alternative to more common door types, providing opportunities that other door types simply cannot. The simple operation is easy to maintain to over the years, and timeless designs ensure that a Side Hinged door will provide years of worry-free service. 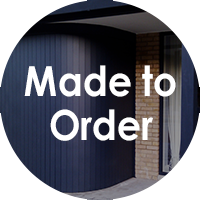 An increase in demand for Side Hinged doors has prompted manufacturers to provide a wider range of designs, materials and finishes, allowing you to find the perfect Side Hinged Door for you. With steel, there is a variety of modern and stylish designs available, as well as various front surface effects and glazing options for double-skinned doors. Purpose made doors can be made up to around 10 feet x 8 feet, with anything over those dimensions requiring heavier duty hinges to support the additional weight. We only supply the highest quality timber for our doors, as lower grade timbers reduce the longevity and stability of doors considerably, especially with the infamously varied UK weather. For long-lasting reliability, we recommend Cedarwood or Idigbo, or an enigineered Oak. These materials are fantastically strong, and once treated are suited to resisting the variable weather conditions. As well as options in material, there is a range of crafted furniture options available, in both traditional and contemporary styles. Furniture options for Steel and GRP doors are slightly more limited, but still feature purpose made sizes and window options. Panelled designs are common with single skin steel doors, and cost considerably less than timber equivalents. As well as this, there are more design choices with double skinned steel doors. 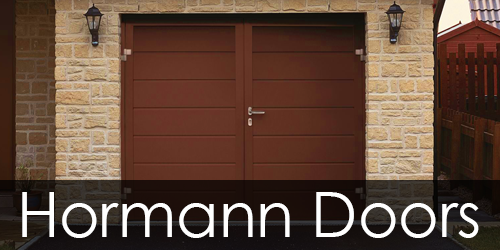 Much like Sectional Doors, Side Hinged doors have seen an increase in the demand for designer elements. These elements can provide a sleek and eyecatching design, both overlay or inlay with the door design. 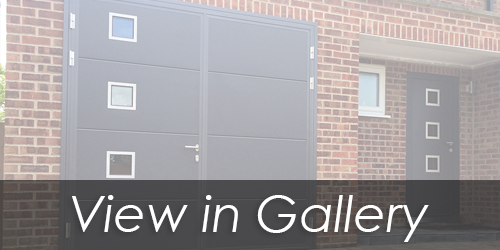 Stainless steel and coloured elements are available to customise Side Hinged garage doors, creating a truly 'designer' look. Side Hinged garage doors are available in 50/50 split, or with a 1/3 to 2/3 opening ratio. The latter option is a fantastic solution for garages that require frequent pedestrian access; perfect for cyclists or accessing storage. 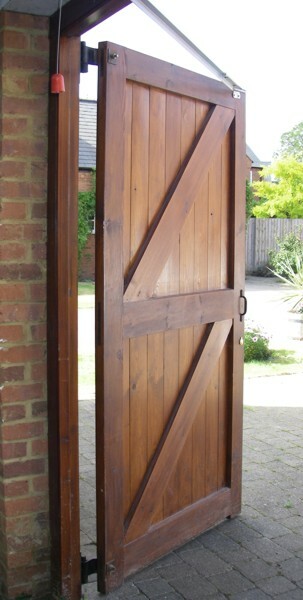 Whilst steel Side Hinged doors are generally manufactured in standard sizes, timber doors are usually purpose made, and can be manufactured to your exact specifications as a result. If the opening is constructed of uncut stonework, a scribed timber sub frame will neatly fit with the existing construction. Drive-through dimensions are also maximised (assuming the doors can open beyond 90°), in both width and height. 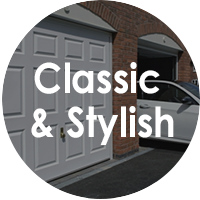 Side Hinged doors are also a great solution to garages with limited length and width dimensions, as the doors open outwards as standard. They can also be fitted externally, with some flashing and covers to prevent water ingress. Fitting externally offers the greatest drive-through dimensions if this is a particular concern. Contrary to popular belief, Side Hinged doors can be easily automated! Most boom-style electric operators will work, when combined with a swing-arm conversion kit. Our installations allow the first door leaf to reach the home (closed) position just before the second leaf, as this closes the doors with an added degree of security. Also, remember to add a manual release when a Side Hinged door is your only means of entry and exit to your garage. A powerful operator is recommended, as Side Hinged doors can be affected by windy conditions, which need to be considered. Newer generations of electric operators are constantly monitoring the door in different stages, factoring in safety features continually. Seip, Cardale, Marantec, Hormann and Somfy are all examples of operators with such features. 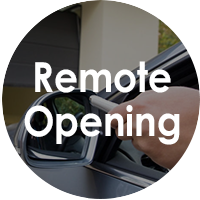 Hydraulic or mechanical gate operator technology is also an option for automation with Side Hinged doors, and we regularly install these when the garage has sufficient headroom dimensions. These operators are either piston-style rams or articulated arms, as well as top-mounted arms similar to those you might see in retail shops. These units are highly reliable, suited to frequent usage, whilst operating quietly and smoothly for years to come. Side Hinged doors conventionally open outwards, so it is important to check that the drive does not slope upwards and obstruct this. Alternately, we offer inward opening doors, although this is significantly rarer. 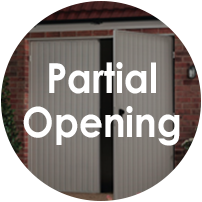 If your garage is in front of a public area or pathway, you may need to check with your local authority that you can have outward opening doors. A wide array of double-skinned insulated Side Hinged doors are becoming available in the UK, which offer great security qualities from the panel design and locking systems. Insulation is another benefit that these doors offer, working to keep the temperature regulated in your garage. Take a look through our product catalogue for high-quality Side Hinged doors in Timber, Steel or GRP. 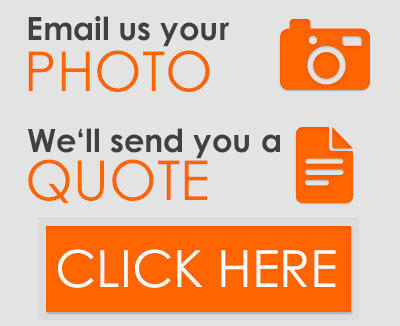 Send us an email for the latest information and the best prices anywhere on the internet!